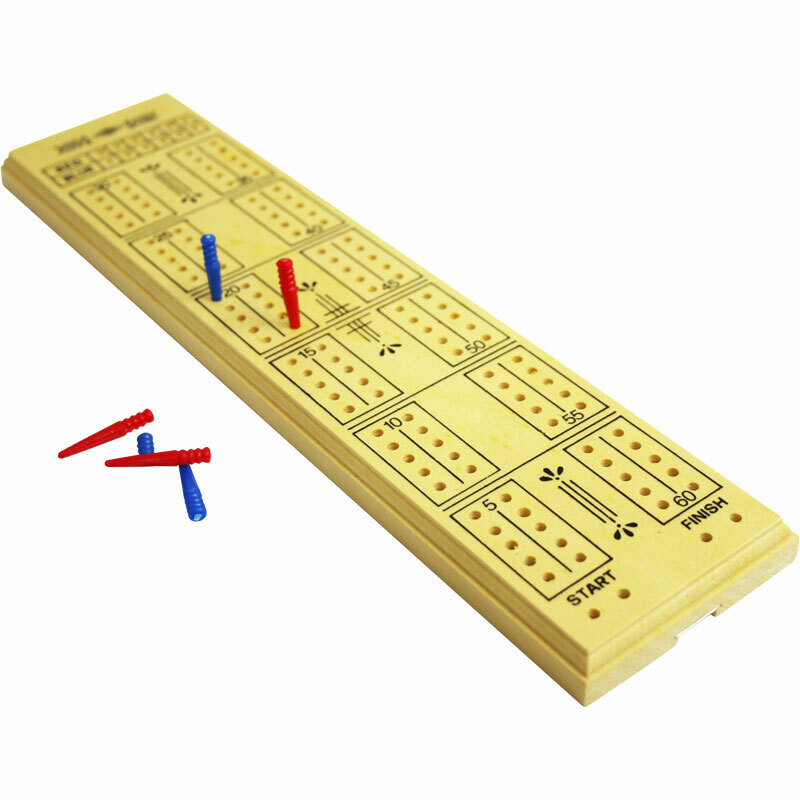 A Wooden Board for the game of Cribbage for up to 3 players. 30.5cm/12in wooden board with painted top. Comes complete with 6 scoring pegs (3 of each colour) and instructions. Delighted with the cribbage board which is well made, neat with a tidy place for keeping the pegs.. Fast, efficient service . Thanks you. My order arrived quickly. Top notch perfect condition . Product exactly as described. Good quality, includes instructions and the back of the board includes storage space for the 6 pegs. Very good particularly considering the price. 5 out of 5 Perfect! 5 out of 5 Better than expected. If you are a crib player, you will love this board. It's a good size, has a compartment for the pegs and they are supplied too. So all in all a very good purchase for the money, top marks! Great cribbage board with a compartment for the pegs that are supplied too, would recommend, very good value for the money paid. Boards were delivered within a couple of days from ordering. The boards are very good value for money, an excellent service all round. 5 out of 5 cribbage board.